Many individuals and small business owners are finding success building their website on the Internet. After all, it’s relatively easy to set up an Internet website. Unfortunately, one thing that some website owners are forgetting is that the proper legal documents need to be in place to successfully run a website online and to comply with the law. And for an online business, one of the building blocks comes in the form of a professionally written website terms and conditions contract, it is a must have document. Without good terms and conditions for your website, you place yourself at risk of users and visitors using your website and content any way they like, with little or no guidelines or repercussions. Internet users can be some of the most egregious violators of other people’s rights, so this isn’t a good idea for a website owner. 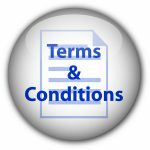 Many terms and conditions often include a clause called an “Acceptable Use Policy” or “User Rules and Guidelines” for the website. Through a clause like this, the website owner tells users exactly what’s allowed and what’s not when using their website. Users are normally told they can’t do things like compromise the safety and security of other users on the website, they can’t reverse engineer any software or source code, and they can’t use the website for any illegal acts. Without good terms and conditions, you put yourself and users at risk because you haven’t clearly defined what acceptable user behavior is. Say you’ve built a great website. A website that has taken a lot of time and energy. One that you’ve designed from the ground up. You publish it on the Internet and begin sharing it with other people. A few months go by, and suddenly you discover that someone else has built another website that looks exactly like yours. And they’re making money with it! Although you won’t be totally without recourse if you don’t have good terms and conditions (you can still do things like send Cease & Desist letters), however, without well-drafted terms and conditions, it might be considerably more difficult to enforce a Cease & Desist letter. An important clause in most terms and conditions is a discussion of intellectual property: yours, your users (if any) and what exactly belongs to each party. Normally, you would describe to your users that everything on the website is yours and yours alone and is protected by copyright law. You could also add the legal ramifications for users in case they decide to steal any of your intellectual property. Without good terms and conditions, you put all your intellectual property at risk. If you’re running a website on the Internet and something goes wrong between you and a user, a lawsuit might develop. But there’s a wrinkle: You live in Florida and run your website from there. Your user is in New York. Which state’s law applies? Without good terms and conditions in place, this question is up in the air. Since you never asked your users to agree to any terms and conditions before using your website, or making purchases through it, they aren’t bound contractually to any specific state laws. A user could potentially drag you to New York and make you spend a lot of money litigating a case there, and with laws that may not be favorable to you. Just as the choice of law is extremely important for terms and conditions, so is the choice of venue. The venue, in legal terms, is the specific court where a case takes place. If your choice of law was Florida, you would also then choose a venue in whatever county you lived, like Orange County, for example. Without terms and conditions, you risk being pulled into an inconvenient or expensive venue. If you don’t clearly define in your terms and conditions the venue where you would like to resolve any disputes, you could end up shelling out a lot of money for travel back and forth just to defend your case. Also, users of your website may use your lack of chosen venue against you by trying to get you into court where they live, just to see if they can get you to settle. If you’re running a website on the internet that allows you to sell goods or services to your users, then you will want to let them know what you expect as far as payment options and terms. Are they allowed to be late with their payments? If so, is there a penalty? If they aren’t allowed to be late, can you unilaterally cancel the order? These are just some questions you should have the answers to before starting your website. Without good terms and conditions, you won’t be able to make any of this clear to your users. Also, terms and conditions will let you explain how your user’s billing information is treated and how you handle refunds, returns, etc. Without it, you will increase the chances of user disputes and possible liability. Website terms and conditions will not only define the terms of the relationships with your users, but it’ll also tell them exactly what happens if the relationship needs to be terminated. Without well-written terms and conditions, you increase the likelihood of disputes and chargebacks if you cancel a user’s account without having given them prior rules and guidelines to follow. Often, disclaimers make clear to the user that the website owner is not liable for special, incidental or consequential damages (because those can easily build). Disclaimers of liability also help to limit the owner’s liability for any misuse on the part of the user or any unreasonable reliance on the information provided on the website. Without good terms and conditions, you open yourself to significant risks of liability for things that you may have nothing to do with. Think of terms and conditions like a contract that you are telling your users they must sign (agree to online) before they use your website or before they can begin working with your business) — because this is exactly what it is. It is a contract that defines all the terms and guidelines for your users. And like other contracts, it is enforceable in a court of law. Your valuable intellectual property – Good terms and conditions will protect your intellectual property like your website design, graphics, written content, audios, videos, software source code, and other creative works. Our Content, as found within our Website and Services, is protected under the United States and foreign copyrights. The copying, redistribution, use, or publication by you of any such Content is strictly prohibited. Your use of our Website and Services does not grant you any ownership rights to our Content. If you run a website where users are permitted to register for an account or post their own content (called user-generated content), then you’ll want to describe the difference between certain types of users. If you allow sales on your website, users who are subscribed to your billing system will want to know how their information is treated and what your return or refund policy is, and other subscriber information. They will also appreciate knowing how they will be treated differently than users who simply browse your website. For websites that allow user-generated content, users will be clear about how their own content will be treated, protected, and understand they will be subject to your acceptable use policy. With a good set of terms and conditions, not only can you tell users how they should and shouldn’t behave on your website, but you can also give them a good framework of things to expect about your behavior and how you will treat and interact with them. You’ll also want to make clear that users to your website are not engaged in any kind of joint venture or other business with you and that they’re just that: users. Well-drafted terms and conditions will help you do all of this. One of the most important benefits of good terms and conditions is that you get to set your own rules for dispute resolution. Many website owners choose to have an arbitration clause in their terms and conditions, so that they don’t ever find themselves in the middle of an expensive litigation. Still others think that litigation is okay, but have a provision forcing the user to try to mediate before bringing any lawsuit. And, if you do decide that litigation is alright for you and your users, you are going to want to properly choose your law and venue. Good terms and conditions will make this possible. Choice of Law and Jurisdiction This Agreement will be treated as if it were executed and performed in [City], [State], and will be governed by and construed in accordance with the laws of the state of [State] without regard to conflict of law provisions. In addition, you agree to submit to the personal jurisdiction and venue of such courts. Any cause of action by you with respect to our Website or Service must be instituted within one (1) year after the cause of action arose or be forever waived and barred. A good set of terms and conditions will enable you to service your users better. It will make it clear to your users that you utilize third parties and explain how you do so. These third parties can be payment processors, shipping companies, affiliates, business partners, email providers, marketing companies, shopping cart services, and others This not only gives users a better picture of what your company does and doesn’t do, but it also helps you disclaim liability for anything a third party might do. Terms and conditions also help you service your users better by allowing your energy and resources to focus on continuing to improve your business model, rather than get into petty user arguments and answering the same questions over and over. Another benefit for having good terms and conditions is that you can clearly outline for your users when their accounts or access to their accounts will be subject to immediate termination. This is an important tool to have at your disposal for difficult users, or people that would continue to access your website in an illegal or otherwise not allowed manner. Your terms and conditions are a contract between you and your users that you have full control over drafting. You can partially or totally limit your users’ access to your website unless they agree to follow all the rules and guidelines in your terms and conditions. For users that act irresponsibly regarding your website, you can end their access and user privileges without fearing repercussions. Termination of MembershipYour membership with us is effective until terminated by you or us. Your rights under these Terms and Conditions will terminate without our notice if you fail to comply with any term of these Terms and Conditions. Upon termination, you will stop representing yourself as a registered Member or Client. You must delete or destroy any information or content (including all copies) obtained from our Website. Certain provisions of this Agreement, including, but not limited to, copyrights, indemnity, trademarks, limitation of liability, warranty, and jurisdictional issues will survive the termination of this Agreement. One of the most important benefits of well-drafted terms and conditions is that you can limit your risk in any legal and reasonable way that you choose. There are limits to what you can disclaim. However, a limitation of liability disclaimer section will explain what you aren’t willing to be responsible for. And it’s not just important for your relationship with users — it’s important because it can also limit your liability to third parties. IN NO EVENT WILL [OUR COMPANY] OR ITS DIRECTORS, EMPLOYEES, OR AGENTS BE LIABLE TO YOU OR ANY THIRD PERSON FOR ANY INDIRECT, CONSEQUENTIAL, EXEMPLARY, INCIDENTAL, SPECIAL, OR PUNITIVE DAMAGES, INCLUDING FOR ANY LOST PROFITS OR LOST DATA ARISING FROM YOUR USE OF OUR WEBSITE, CONTENT, SERVICES, OR ANY RELATED SOFTWARE ACCESSED THROUGH OR DOWNLOADED FROM OUR WEBSITE OR SERVICES, EVEN IF [OUR COMPANY] IS AWARE OR HAS BEEN ADVISED OF THE POSSIBILITY OF SUCH DAMAGES. NOTWITHSTANDING ANYTHING TO THE CONTRARY CONTAINED HEREIN, [OUR COMPANY]’S LIABILITY TO YOU FOR ANY CAUSE WHATSOEVER, AND REGARDLESS OF THE FORM OF THE ACTION, WILL AT ALL TIMES BE LIMITED TO THE AMOUNT PAID, IF ANY, BY YOU TO US FOR WEBSITE AND/OR SERVICES ACCESSED DURING THE PREVIOUS MONTH OF YOUR MEMBERSHIP PRIOR TO THE EVENT GIVING RISE TO LIABILITY. Also, if you allow user-generated content on your website, a properly written disclaimer section will make it clear to users and third-parties that you are not to be held responsible for the content that users post. Similarly, if people use your website to undertake any illegal acts, disclaiming liability for that in the terms will be important for your business as well. As a website owner, great terms and conditions are an important arsenal in your legal toolbox. Go ahead and get them in place today, or have your existing one reviewed and updated.